Cargo is a wavy stripe fabric. 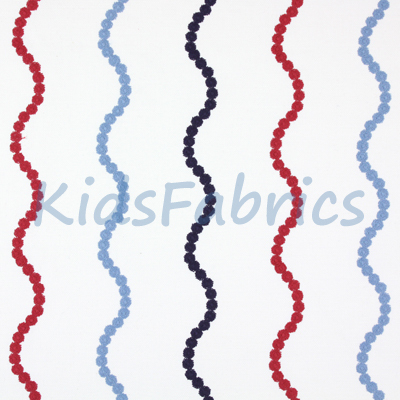 Embroidered wavy lines in varying shades of red and blue on a woven white cotton, creating a raised effect. Suitable for Curtains, Roman Blinds and Cushions.